The source of this chart is RadioMaster Reports. Updated 2015. Entered into public domain. Free to copy. Reference: First-hand physical research, correspondence, and open public domain sources 1997-2013. Updated NOV-2013. 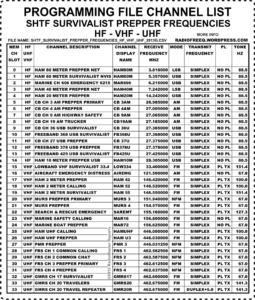 The basic SHTF Survivalist Radio Frequency List chart was entered into the public domain 2013 by Radiomaster Reports. 33.4 MHz is an ancient Low Band VHF FM itinerant business channel with a 1 watt limit. Popular among reenactors, survivalists, and bulletproof-radio enthusiasts using old military surplus manpacks or military handheld sets on this channel (especially PRC-77). 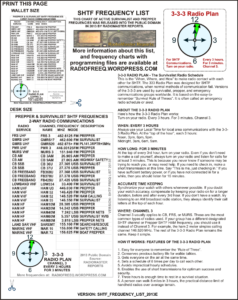 The reason they use 33.4 is probably because it is the only low power itinerant channel that old green manpacks can select with their 50 kHz or 25 kHz channel spacing dials. At low power in the field, they aren’t bothering anybody. Useful for patrols and tactical communications. All scanners can receive this channel. 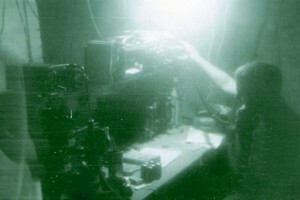 151.940 MHz FM is the MURS Prepper channel, known as MURS Channel 3. Multi-Use Radio Service (MURS) is an unlicensed two-way radio service similar to CB but on VHF FM. It is in wide use by preppers and survivalists. VHF has longer distance range in rural and suburban areas than either FRS or GMRS. Useful for mobile, base, patrols, practice drills, and tactical communications. Most scanners can receive this channel. 154.570 MHz FM is the MURS Survivalist channel, known as MURS Channel 4 or the Blue Dot Channel. Multi-Use Radio Service (MURS) is an unlicensed two-way radio service similar to CB but on VHF FM. It is in use by some preppers, and has much better distance range in rural and suburban areas than UHF, FRS or GMRS. Useful for mobile, base, patrols, and tactical communications. Most scanners can receive this channel. 155.16 MHz FM Simplex is Emergency Only. SAR (Search And Rescue) National interoperability channel in USA for ground search teams. It is widely used by government and civilian SAR teams for field communications and interaction with governmental, law enforcement, or fire operations in the field. This channel is also known as Ground SAR, Land SAR, and identified in agency radios with the channel name SAR WFM or SAR NFM. It requires an FCC license to transmit on it, and should never be used by unlicensed operators, except in life-threatening emergency to communicate with a Search & Rescue unit. All scanners can receive this channel. 156.800 MHz FM Simplex is VHF marine channel 16, the international primary Marine Safety, Emergency, and Distress guard channel worldwide. It is widely used and monitored by all boats, ships, and watercraft. Coast Guards monitor this channel, and it is audio-recorded in major ports. All scanners can receive this channel. 156.625 MHz FM Simplex is VHF marine channel 72, an international ship-to-ship or HT channel worldwide. It is widely used on sailboats, motor boats, yachts, and watercraft. It is designated for non-commercial use, is common for HT-to-HT informal communications, and is normally clear of commercial shipping or port operations. It is usually not monitored by coast guards, but it is audio-recorded in major ports. All scanners can receive this channel. 146.55 MHz FM Simplex is the primary VHF Ham Survivalist local channel. It is one of very few ham radio 2 meter frequencies widely coordinated for FM-Simplex-only throughout USA. It is widely available to Technician basic ham license (or higher) ham operators in USA. 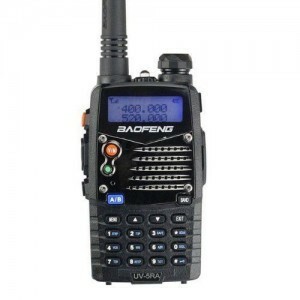 It is popular among survivalists because it is the only coordinated 2 meter simplex channel compatible with bulletproof military surplus radios (AN/PRC-127, etc) and forest-fire radios (Bendix HTs, etc). 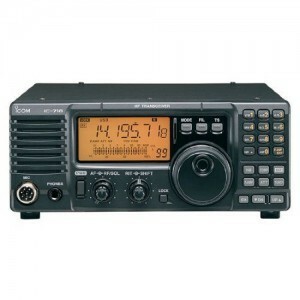 These types of radios have 25kHz channel spacing, and are in wide use by ham radio survivalists/preppers. Useful for patrols and tactical communications. All scanners can receive this channel. 146.52 MHz FM Simplex is widely known as the ham radio 2 meter Calling Frequency. It is the most widely monitored simplex frequency in USA, but it should not be depended upon for emergency 911 type calls, because there are no organized first-responders on it. It is widely available to Technician basic ham license (or higher) ham operators in USA. Known by most hams as 52 Simplex, it is the channel for the Wilderness Protocol in which hams often monitor it while in backcountry. The Long Tone Zero or LTZ protocol, applies on 52 Simplex, in which an emergency call may be transmitted at the top of the hour with the Zero key on the DTMF keypad being held down and transmitted for a long time prior to the voice call to attract attention. It is the most likely local ham radio frequency-coordinated FM Simplex channel to be activated in SHTF scenarios, especially when infrastructure and repeaters are down. All scanners can receive this channel. 146.42 MHz FM Simplex is a ham radio 2 meter frequency commonly used as a chat or SHTF practice channel by mainstream Prepper organizations. It is not a normal frequency-coordinated 2 meter simplex ham channel, although it is generally within the simplex bandplan for USA. It is widely available to Technician basic ham license (or higher) ham operators in USA. Useful for practice drills, patrols, and tactical communications. All scanners can receive this channel. 462.600 MHz FM is the GMRS Survivalist channel. It is GMRS Channel 17 in the Motorola channel naming system and GMRS Channel 3 in the Icom/GM channel naming system. This channel is popular among Survialist organizations and teams due to the the famous Survival Rule of Threes (since it is the 3rd GMRS-only channel). It is a simplex channel or a repeater output channel. If used with a repeater, the repeater input frequency is 467.600 MHz. The duplex is 5 MHz + split. PL 141.3 tone. Most scanners can receive this channel. 462.675 MHz FM is recognized as the GMRS nationwide emergency and traveler assistance repeater channel. It is GMRS Channel 20 in the Motorola channel naming system and GMRS Channel 6 in the Icom/GM channel naming system. The repeater output is 462.675 MHz and uses a 5 MHz + split with an input frequency of 467.675 MHz and a PL 141.3 tone. Most scanners can receive this channel. 462.6125 MHz FM Simplex is FRS channel 3, it is commonly used for tactical patrols and neighborhood watch. 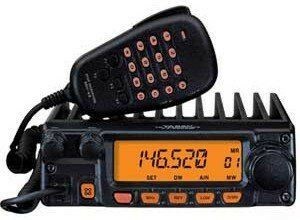 It is an extremely short-range channel, but can be extended somewhat using GMRS radios that can also operate on this frequency or with simplex repeaters. FRS Channel 3 is on the channel list of several prepper networks. This channel is popular among Prepper organizations and teams due to the the famous Prepper Rule of Threes. Most scanners can receive this channel. 446.03125 MHz FM is the Prepper channel for Personal Mobile Radio (PMR or PMR466). PMR is a low power, short range, radio system similar to FRS. It is very common in Europe, Africa, and Asia. In USA and many other places, the 446 MHz band is assigned to Amateur Radio Service (Ham) so, the PMR channels can be used by hams in those areas. PMR Channel 3 is interoperable and compatible with the HAM UHF Prepper channel HAM U3, at frequency 446.030 MHz. This channel is popular among Prepper organizations and teams in Europe due to the the famous Prepper Rule of Threes. 446.030 MHz FM Simplex is a Prepper ham radio UHF frequency. Useful for practice drills, patrols, and tactical communications. It is not a normal frequency-coordinated UHF simplex ham channel, although it is a simplex frequency within the widely recognized simplex bandplan. It is interoperable and compatible with PMR Channel 3 (a channel popular among European Prepper organizations and teams) due to the the Rule of Threes. All scanners can receive this channel. 28.305 MHz USB is a ham radio Upper SideBand local and international frequency in the 10 meter band. In USA, it is widely available to Technician basic ham license (or higher) ham operators. This channel also is compatible with less-expensive 10-meter SSB channelized radios and extra-channel or modified CB SSB radios. HF SSB radios and military surplus manpack radios can transceive on this channel. Shortwave receivers with USB or BFO can receive this channel. Most scanners can not receive this channel due to the use of Single SideBand. 14.242 MHz USB is a ham radio Upper SideBand international and long distance frequency in the 20 meter band. In USA, it is only available to General license (or higher) ham operators. It is on the channel list of several organized survivalist and prepper networks, including TAPRN (The American Prepper Radio Network). HF SSB radios and military surplus manpack radios can transceive on this channel. Shortwave receivers with USB or BFO can receive this channel. Most scanners can not receive this channel due to the use of Single SideBand. 7.242 MHz LSB is a ham radio Lower SideBand wide area frequency in the 40 meter band available to General license (or higher) operators in USA. It is on the channel list of several organized survivalist and prepper networks, including an active practice net by TAPRN (The American Prepper Radio Network). 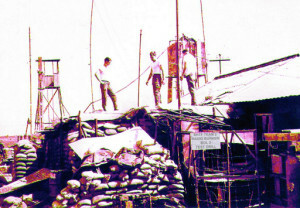 HF SSB radios and some military surplus manpack radios can transceive on this channel. Shortwave receivers with LSB or BFO can receive this channel. Most scanners can not receive this channel due to the use of Single SideBand. 5.357 MHz LSB is a ham radio Upper SideBand regional area frequency available to General license (or higher) operators in USA and other countries. The 5 MHz channels in the 60 meter band are recognized for use in EMCOMM Emergency Communications. 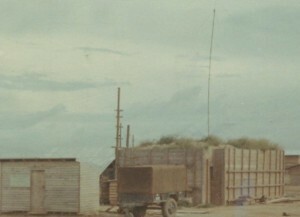 This channel is optimum for long range mobile patrols and base NVIS (Near Vertical Incidence Skywave) HF communications dependably up to 500 miles on a regular daily basis. 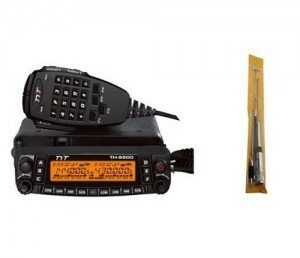 HF SSB radios and military surplus manpack radios can transceive on this channel. Shortwave receivers with USB or BFO can receive this channel. Most scanners can not receive this channel due to the use of Single SideBand. 3.818 MHz LSB is a ham radio Lower SideBand night regional frequency in the 80 meter band available to General license (or higher) operators in USA. It is on the channel list of several survivalist and prepper networks, including an active practice net by TAPRN (The American Prepper Radio Network). 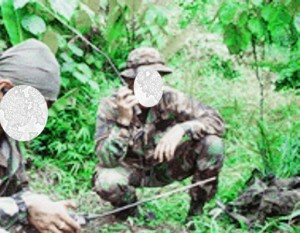 HF SSB radios and some military surplus manpack radios can transceive on this channel. Shortwave receivers with LSB or BFO can receive this channel. Most scanners can not receive this channel due to the use of Single SideBand. 26.985 MHz AM is CB Channel 3. Useful for common tactical patrols and local area communications between vehicles and bases. Channel 3 CB is on the channel list of several survivalist and prepper networks. This channel is popular among Prepper organizations and teams due to the the famous Prepper Rule of Threes. Shortwave receivers can receive this channel. Some scanners can receive this channel. 27.065 MHz AM is CB Channel 9. In USA, the radio regulations designate this as the Emergency and Travelers’ Assistance Channel in FCC rules 47CFR95.407(b). It is widely used by CBers during emergencies, but it should not be considered a 911 type channel because it is not reliably monitored by any first-responder organization. Some CB radios have a dedicated Channel 9 button. Shortwave receivers can receive this channel. Some scanners can receive this channel. 27.365 MHz USB is CB Channel 36 Upper SideBand. Highly useful for long range patrols and wide local area communications, espeically between vehicles and bases up to about 20 miles. Channel 36 USB CB is on the primary channel list of various survivalist groups. Shortwave receivers with USB or BFO can receive this channel. Most scanners can not receive this channel due to the use of Single SideBand. 27.368 MHz USB is the primary Survivalist Freeband Upper SideBand channel. It is in the gap between CB channel 36 and CB channel 37. Useful for long range patrols and wide local area communications, it is especially good between vehicles and bases up to about 20 miles or more. This frequency is clearer due to less interference and has longer distance range than normal CB channels for survivalist groups using CB SSB radios with unlocked clarifier. Shortwave receivers with USB or BFO can receive this channel. Most scanners can not receive this channel due to the use of Single SideBand. 27.375 MHz USB is CB Channel 36 Upper SideBand. Highly useful for long range patrols and wide local area communications, especially between vehicles and bases up to about 20 miles. Channel 37 USB CB is a prepper listed frequency. Shortwave receivers with USB or BFO can receive this channel. Most scanners can not receive this channel due to the use of Single SideBand. 27.378 MHz USB is the most popular Prepper Freeband Upper SideBand channel in the gap between CB channel 38 and CB channel 37. It is useful for long range patrols and wide local area communications, especially between vehicles and bases up to about 20 miles. This frequency is clearer due to less interference and has longer distance range than normal CB channels for SHTF groups using CB SSB radios with unlocked clarifier. Shortwave receivers with USB or BFO can receive this channel. Most scanners can not receive this channel due to the use of Single SideBand. 27.425 MHz USB is a CB freeband Upper SideBand channel in extra channels, about 2 channels above normal CB channel 40. For CBs with extra channels in bands, it is channel 2 of the band just above normal CB band (usually Band E). It is useful for long range patrols and wide local area communications, especially between vehicles and bases up to about 20 miles. This frequency is clearer and has longer distance range than normal CB channels for SHTF survivalist groups using radios with extra upper high channels. Shortwave receivers with USB or BFO can receive this channel. Most scanners can not receive this channel due to the use of Single SideBand. The listings for FM Simplex are all carrier squelch receiver. There is some advantage to transmitting a PL 151.4 to include those who may be using CTCSS. Interoperability with surplus military radios is desirable using Mil Tone Squelch frequency 150 Hz, compatible with PL tone and CTCSS radios using PL 151.4 Hz. This tone is also known as Motorola Code 4A or National Interagency Fire Center code NIFC 14. P25 digital radios can be used on some of the FM Simplex channels listed. Not recommended due to interoperability issues. RadioMaster wishes to thank: “SHTF Team 2″, “Joe The Prepper”, “Darth_vader”, and “Mike the radio guy”, for their contribution of photos and useful information for this article. Previous post: Hydroponics – Soil-less Gardening.